First Clouded Leopard Day celebrated in Tangting, Kaski district. Call for Posters at "Nepal Owl Festival 2019"
Venue for Nepal Owl Festival 2019 Fixed! Our Book on owl has been launched! Executive Director Mr. Raju Acharya received 'Special Achievement Award' for exceptional contribution to owl conservation in Nepal in 2011. The award is presented annually to people around the world who have done tremendous work in the field of owl research and conservation by Houston Nature Center, Minnesota. Mr. Raju Acharya was the first Asian to have been conferred with this award. 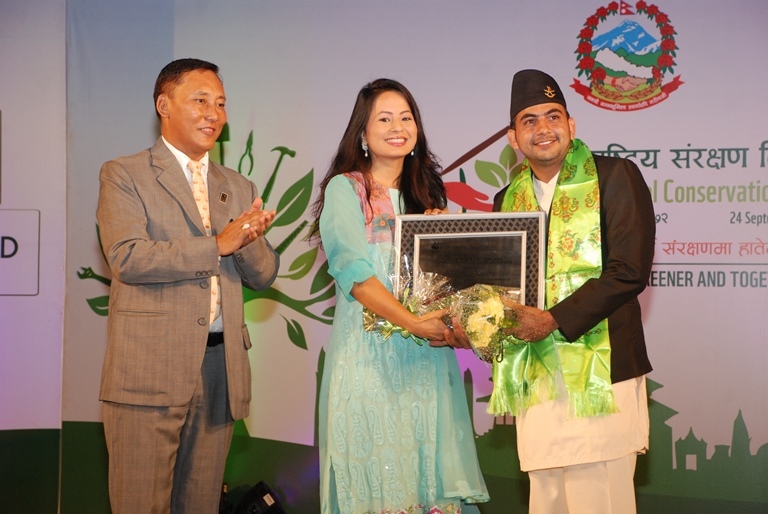 Chiranjeevi Khanal, executive member of FON and team leader of Hyaena special project, was awarded the Matthew Preece & Yeshi Choden Lama Young Conservation Leader Award-2015 by WWF Nepal on the occasion of 9th National Conservation Day.